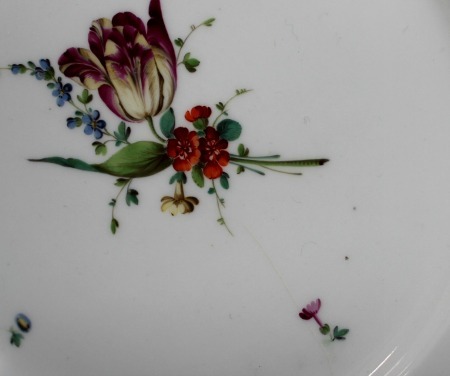 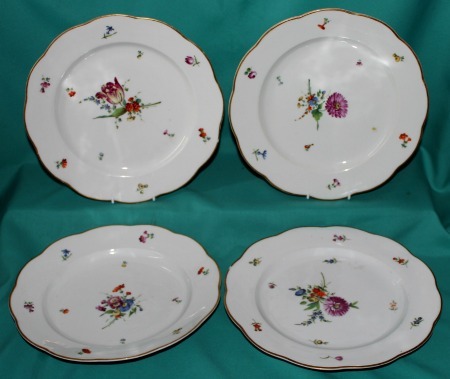 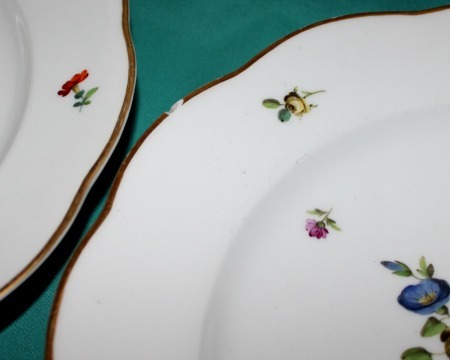 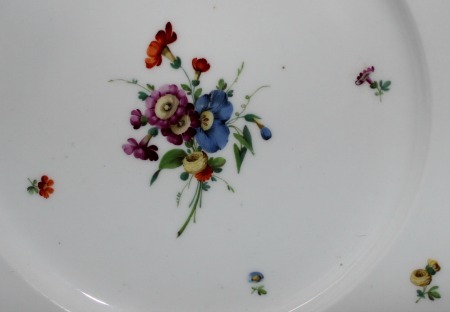 A set of four Amstel Porcelain Dinner Plates c.1780-90, hand-painted with floral sprays in polychrome enamels, gilded rims. 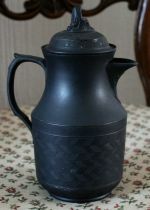 Dimensions: 25 cm diam. 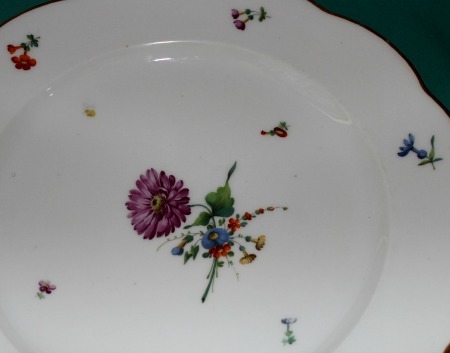 Condition: one plate with a tiny chip on the rim and one with 6cm glaze crack in the centre. 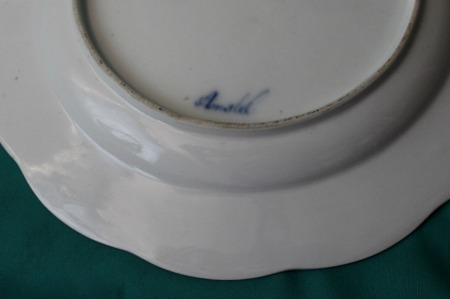 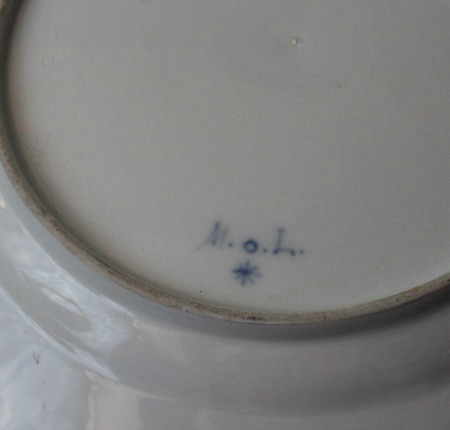 Marks: 3 plates with "Amstel" painted in blue underglaze, one with "M. O. L. *", star and 8, incised on the base.